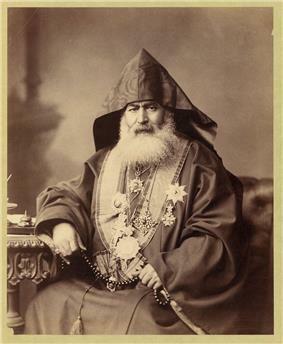 In 638, the Armenian Apostolic Church began appointing its own bishop in Jerusalem, generally known as the Armenian Patriarch of Jerusalem. The office has continued, with some interruptions, down to this day. 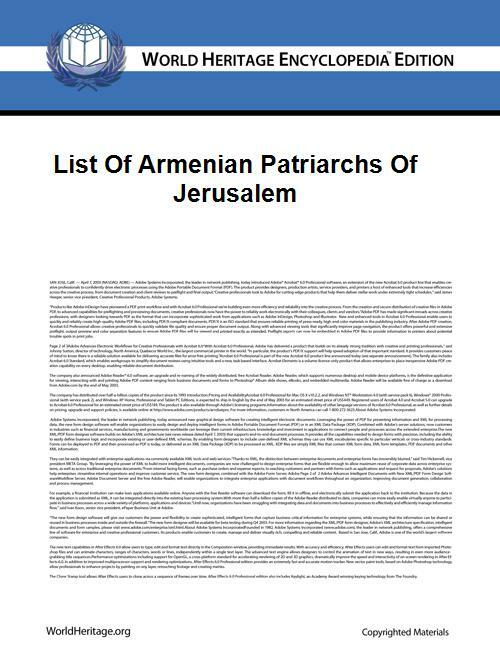 The bishop at the Armenian Patriarchate of Jerusalem is given the title of Patriarch in deference to Jerusalem's holy status within Christianity; however, the Armenian Patriarch is under the ecclesiastic authority of the Catholicos of Armenia and of All Armenians. The Patriarch's title is "His Beatitude". Abraham I (638–669) -- Աբրահամ Ա.
Abraham II (885–909) -- Աբրահամ Բ.
Abraham III (1180–1191) -- Աբրահամ Գ.
Abraham IV (1215–1218) -- Աբրահամ Դ.